The only one on the market at Aspens at Walton Creek. 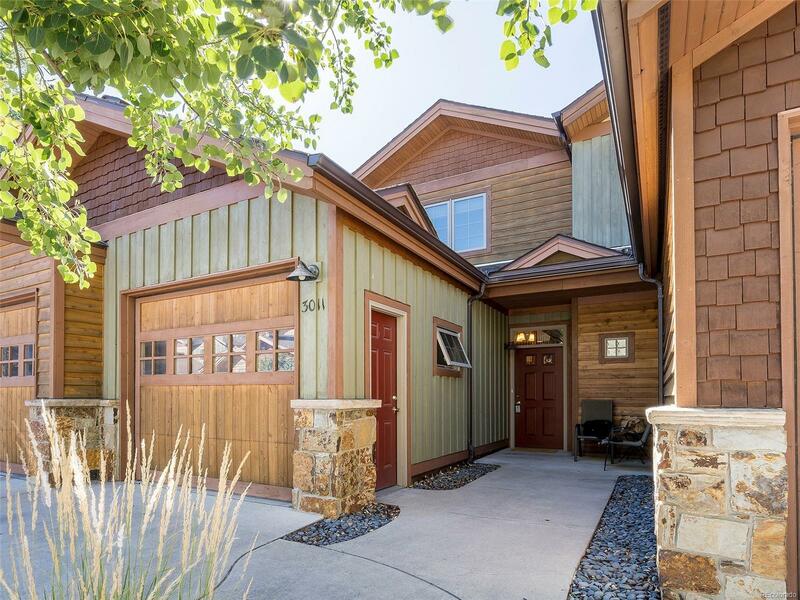 Fantastic opportunity to own a clean, modern townhouse with low HOA dues located near the ski resort and on the free bus route. This upgraded 3-bedroom, 3.5 bath feels light and spacious with a fabulous 3-level floor plan with plenty of privacy. The gourmet kitchen features a granite island, gas range, stainless steel appliances and room to join in at the breakfast bar. Cozy up in the delightful living room with tongue & groove vaulted ceilings, a stone fireplace and a walk-out deck. Upstairs are two spacious bedrooms both with vaulted ceilings and en-suite bathrooms and the lower level offers a media room and a private third bedroom and bath perfect for guests or children. This stunning townhouse features new hardwood floors, brand new carpet, heated driveway and heated one car garage. Owners are allowed pets; nightly rentals are not allowed.